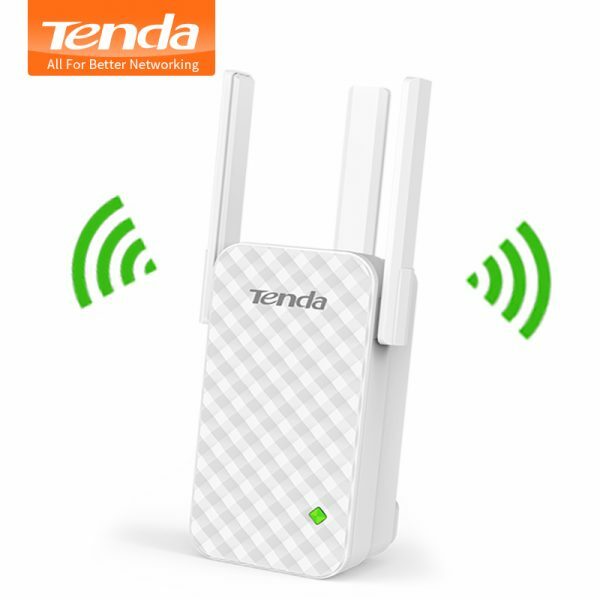 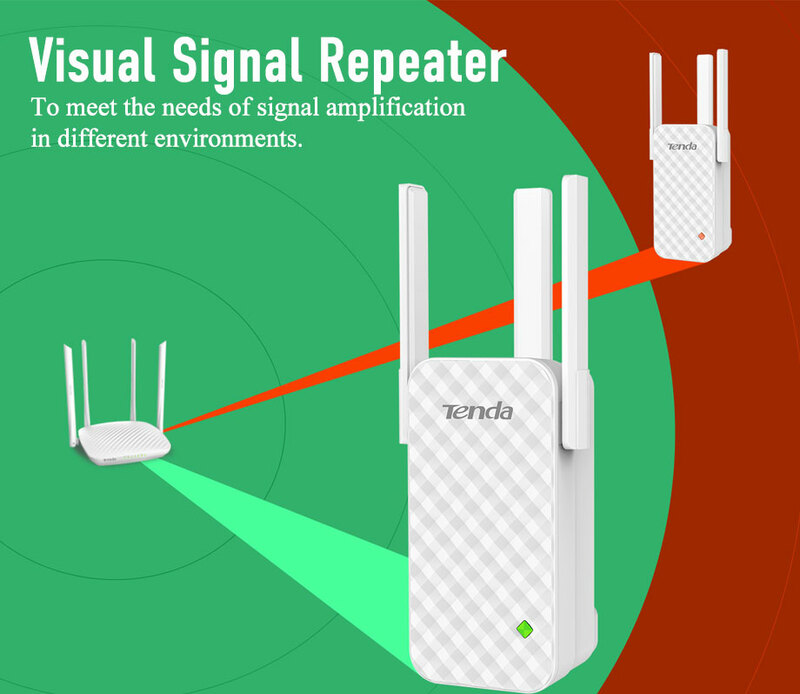 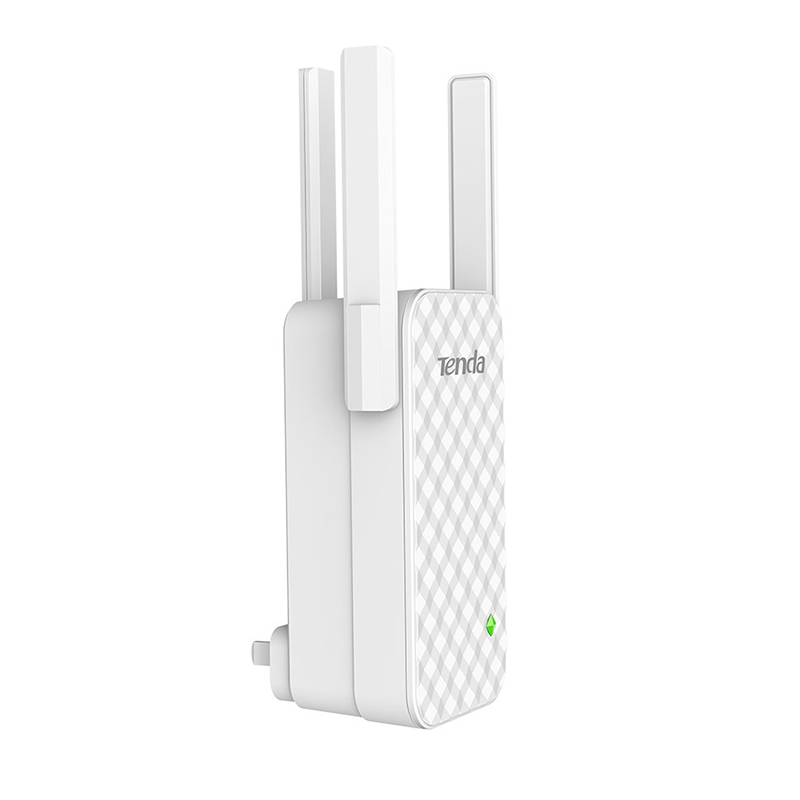 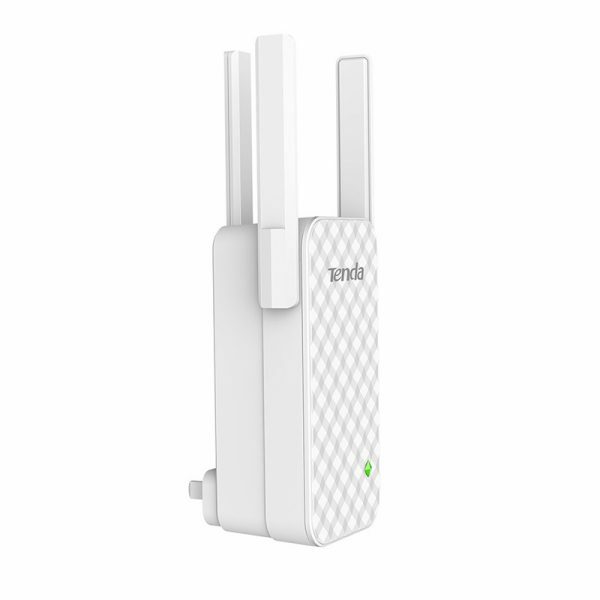 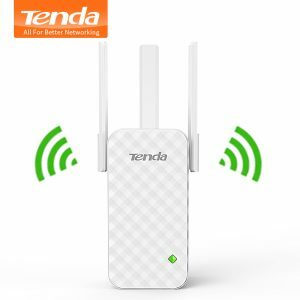 Buy Tenda A12 300Mbps WiFi Repeater Wireless Range Extender Wi-Fi Signal Amplifier Expander, Perfect Partner of Wireless WiFi Router - In Stock Ships Today! 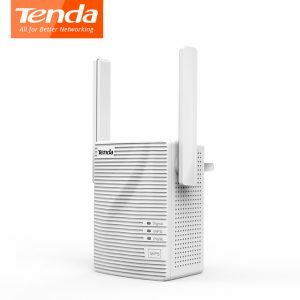 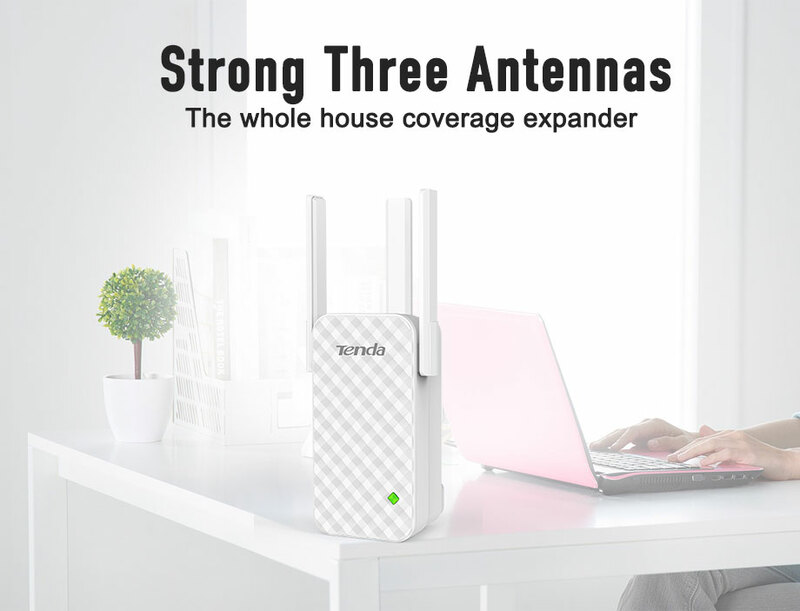 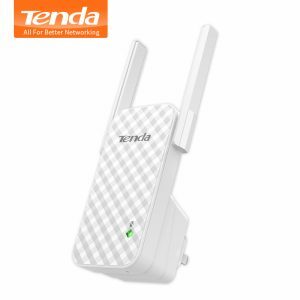 Tenda A12 is a 300M three antenna wireless wifi range extender, suitable for multi bedroom home and neighbor network sharing. 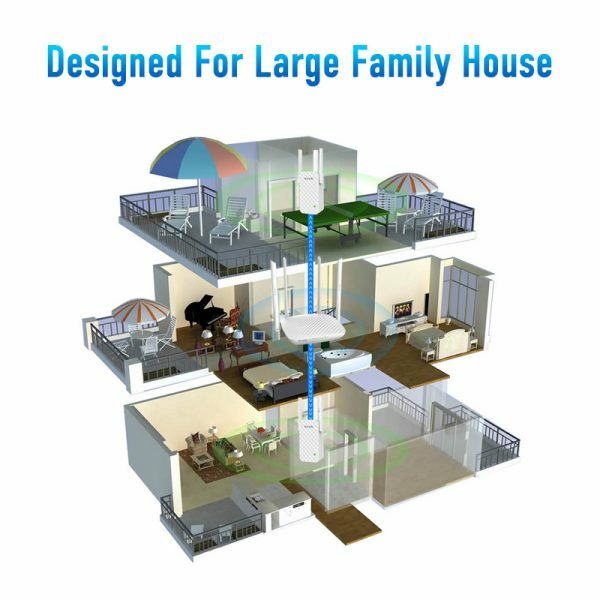 Tenda A12 external 3*3dBi intelligent omni directional antenna, effectively enhance the signal coverage, ensure high quality signal, eliminate WiFi signal blind area in your home or office. 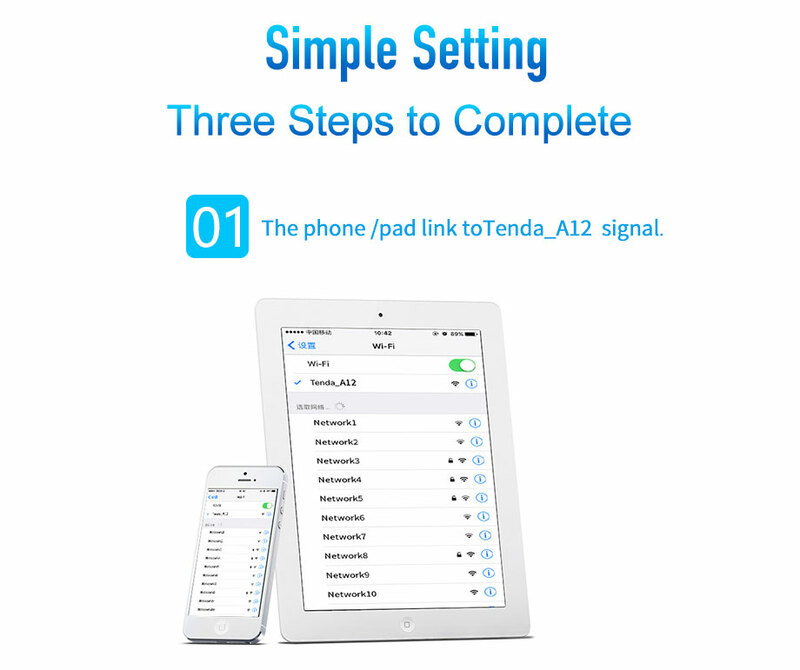 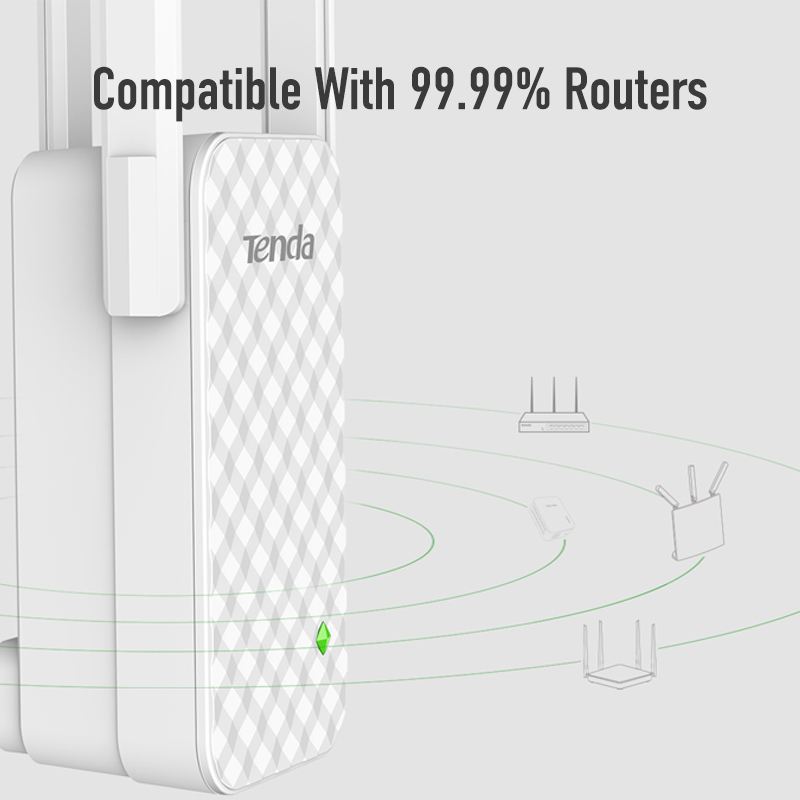 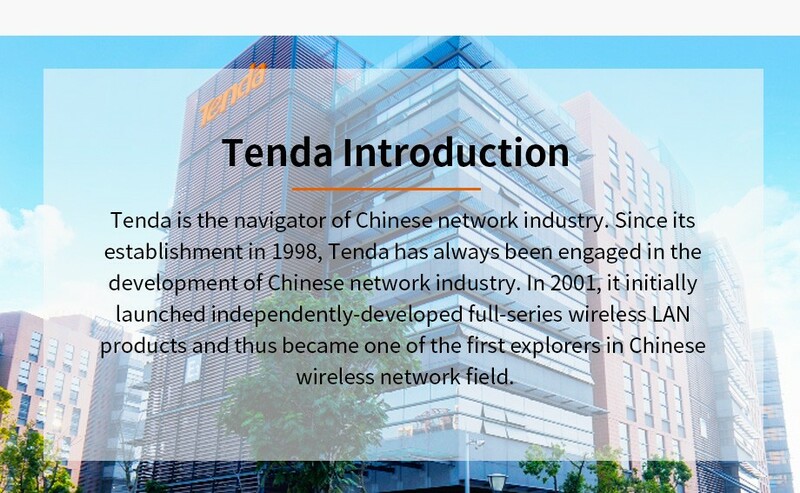 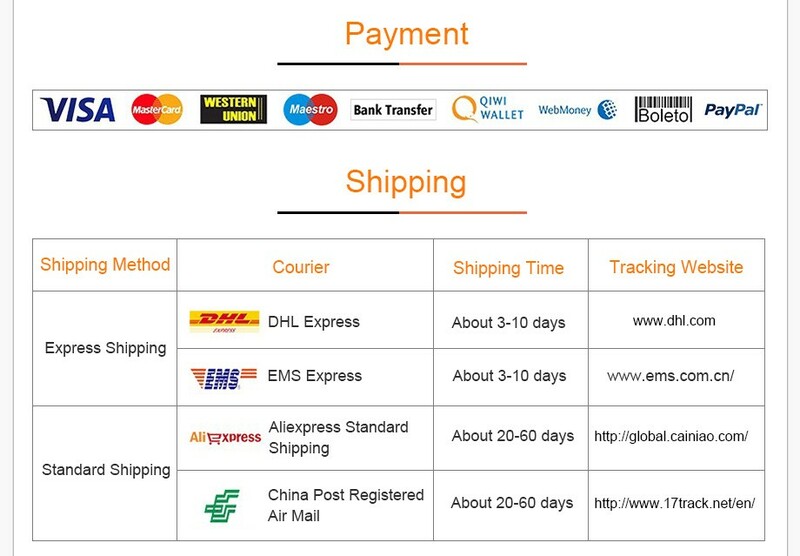 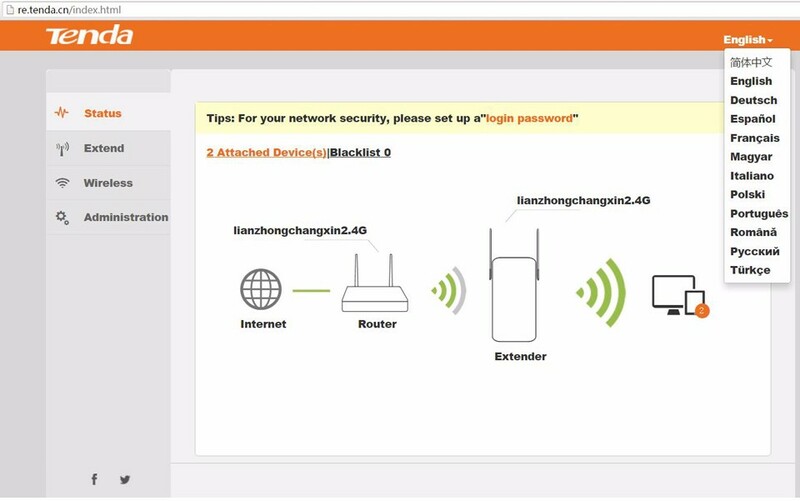 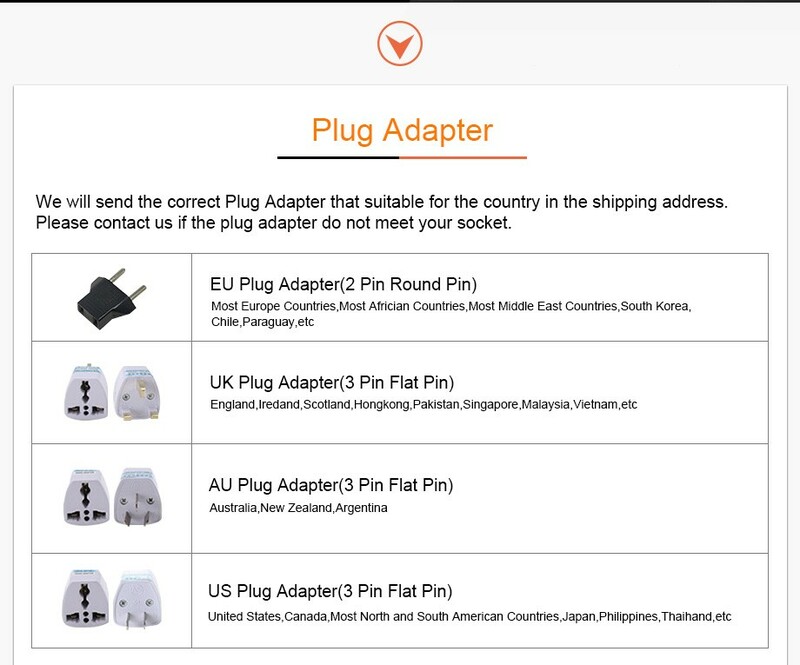 Tenda A12 can be compatible with 99.99% routers, multilingual user settings interface, you can through mobile phones, pad smart terminal device for quick settings. 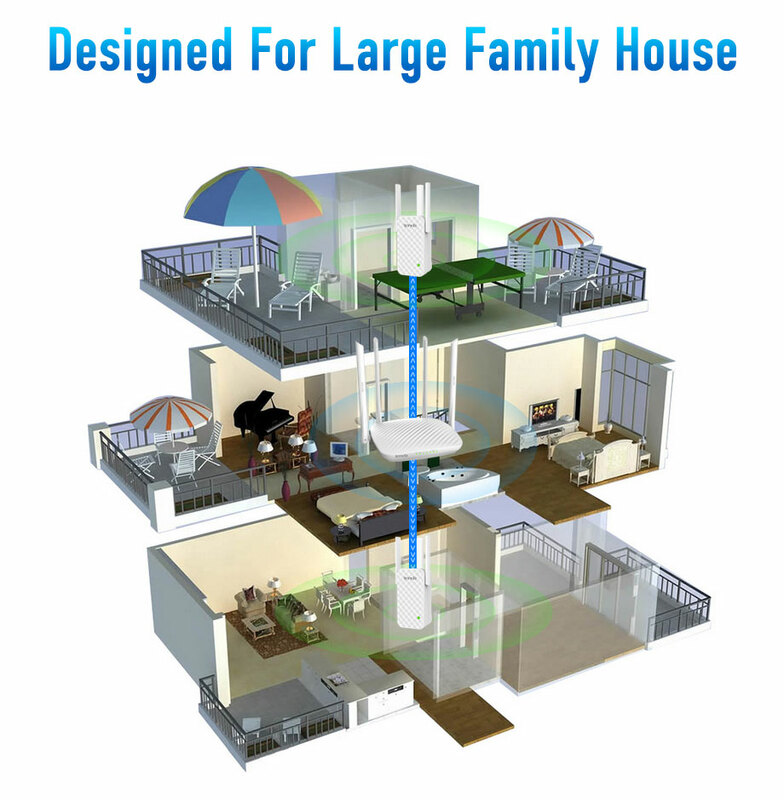 Up to 300 Mbps Wireless Speed. 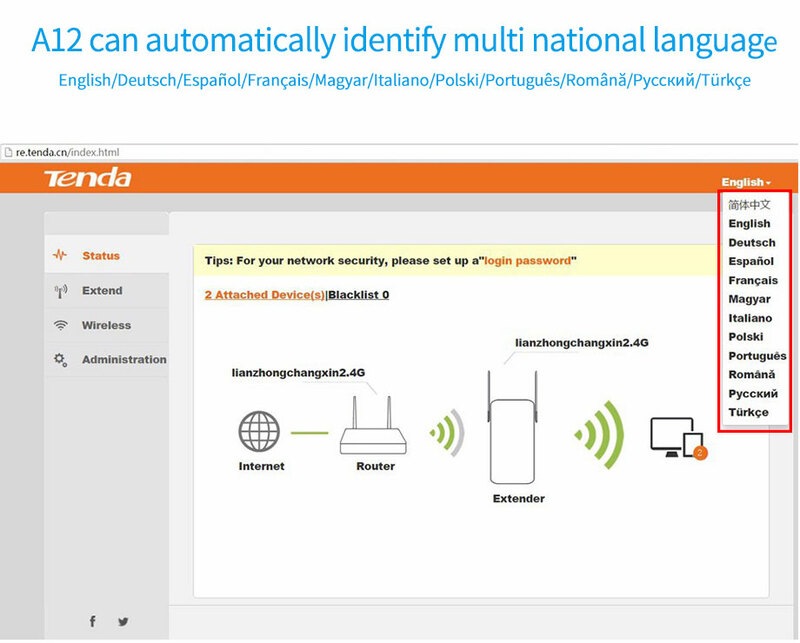 • Mutil-language Setting Interface, Easy setup. 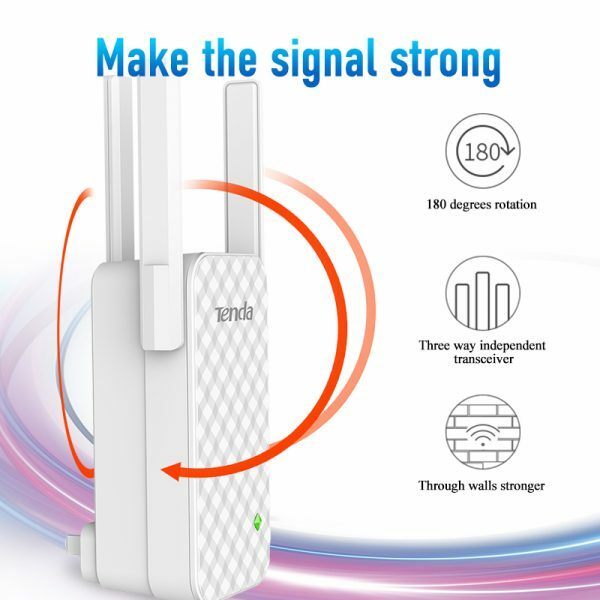 External three high efficiency PCB omnidirectional gain antenna, support 180 degree rotation. 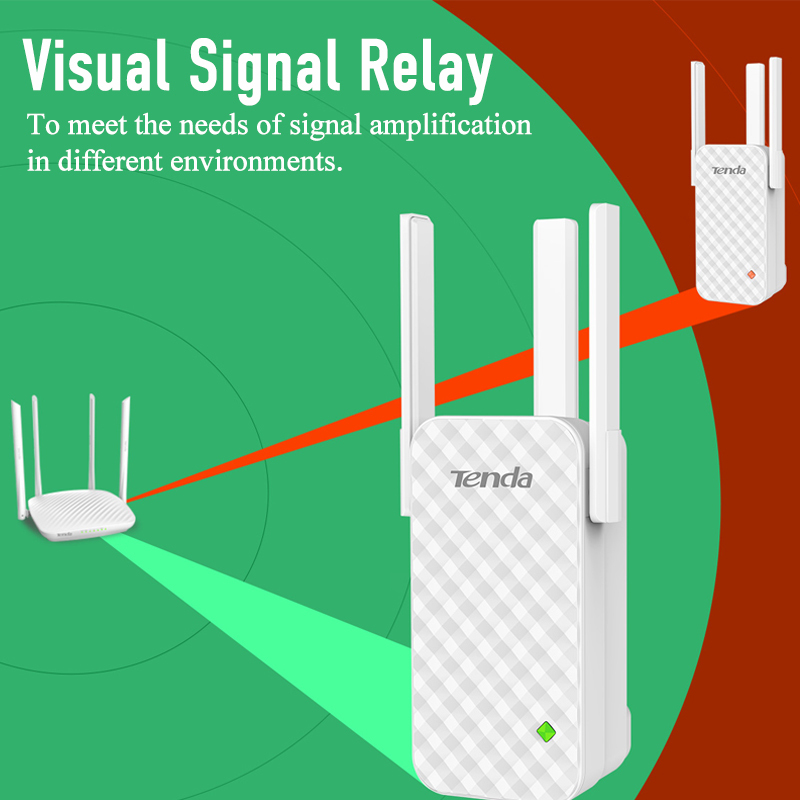 Every antenna receives and transmits wifi signal independently, and the WiFi signal can easily pass through walls and other obstacles. 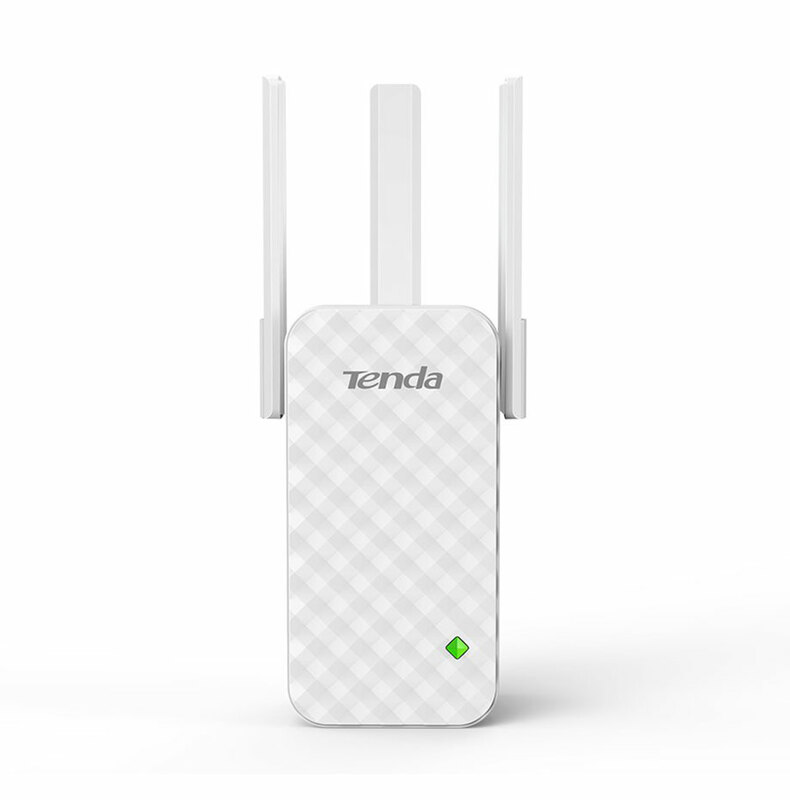 Tenda A12 determines the optimum location of the repeater based on the color of the indicator light. 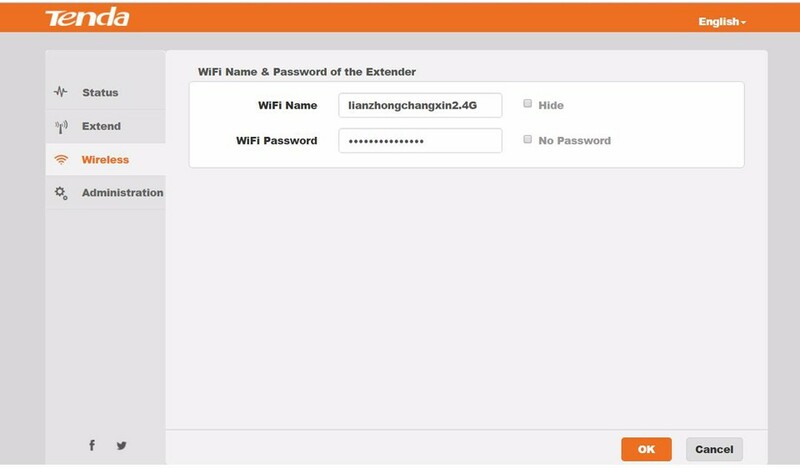 The green light indicates a bridged area, and the orange light indicates that the distance is too far to repeat the wifi signal. 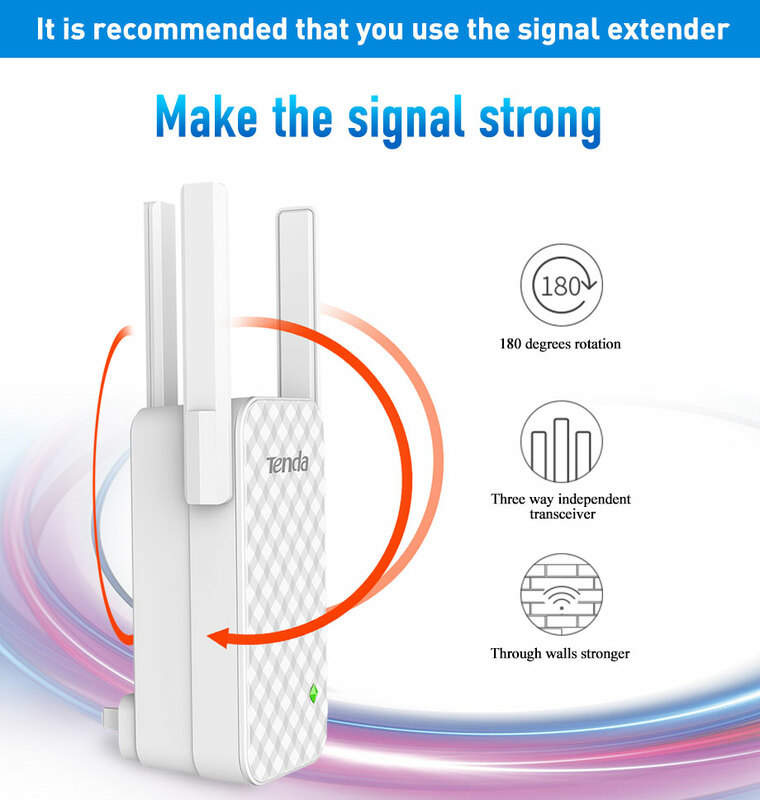 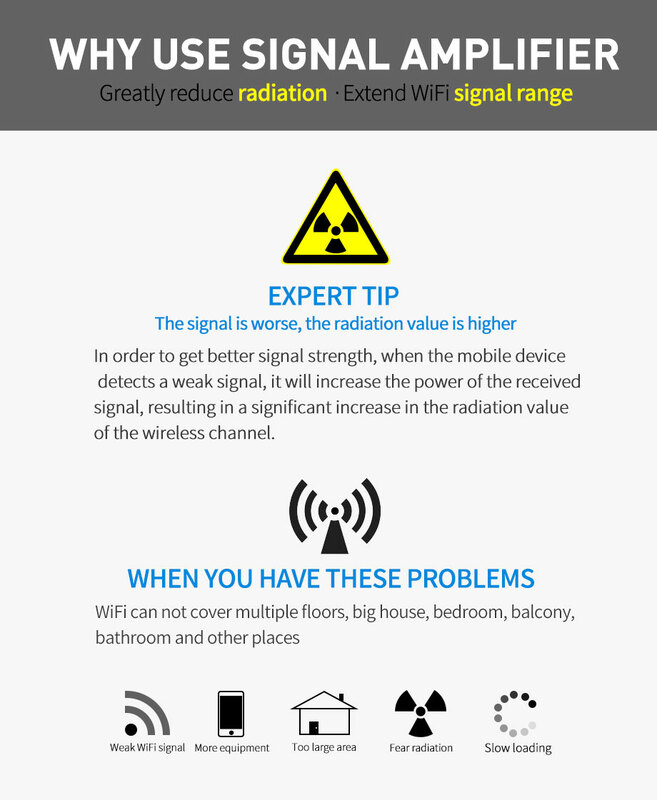 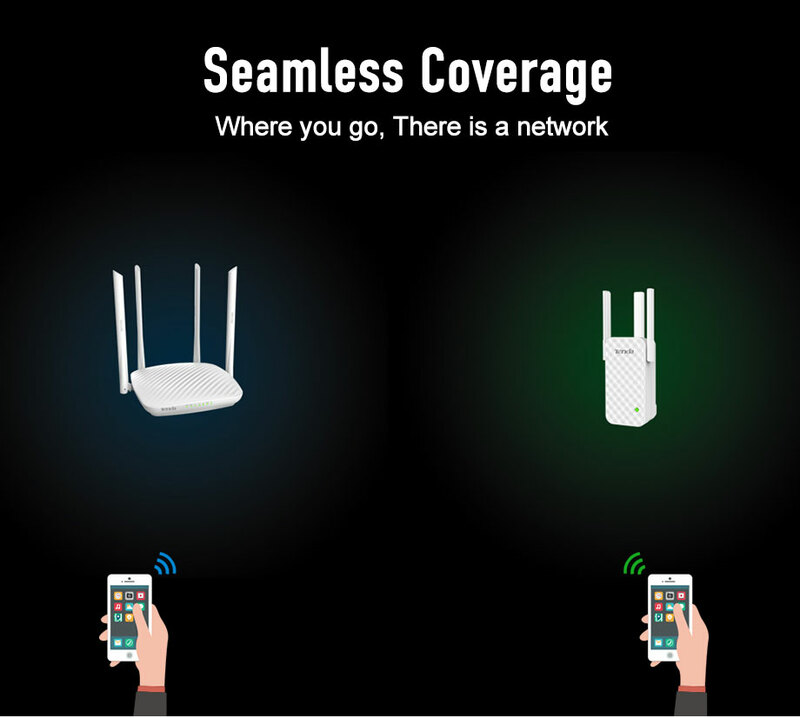 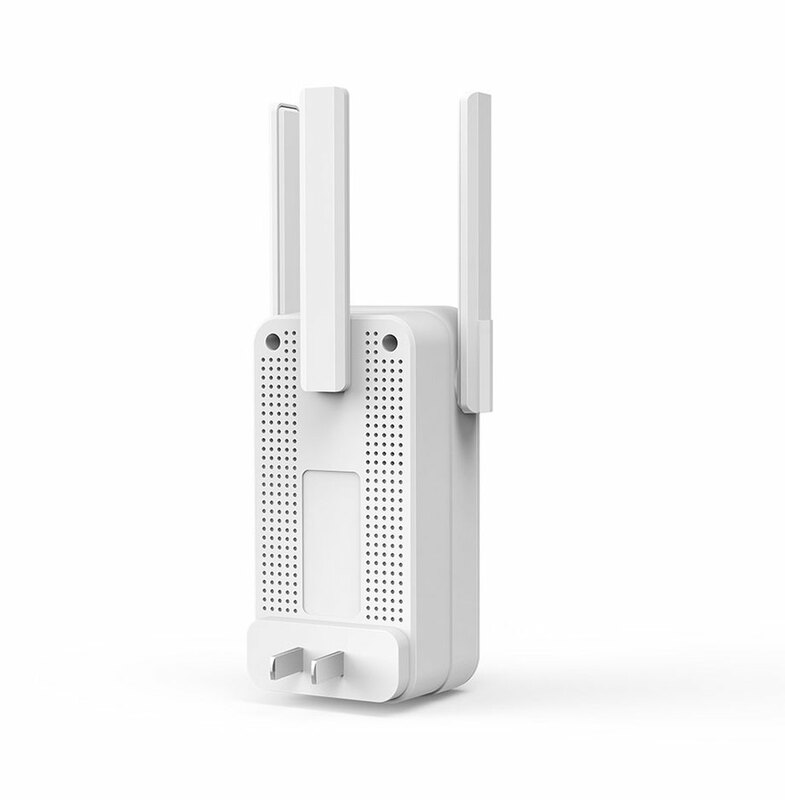 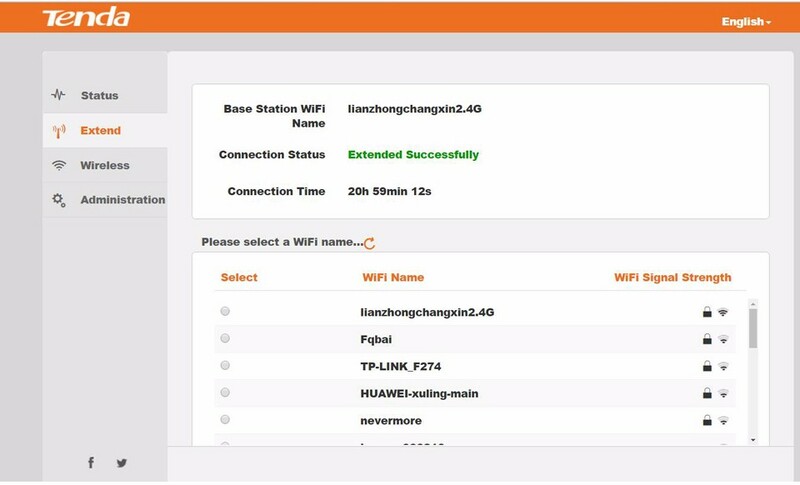 When the wifi signals of bathroom, balcony, bedroom and other area can not meet the needs of the internet, you can put it between the router and weak signal areas to extend the wireless wifi coverage range.